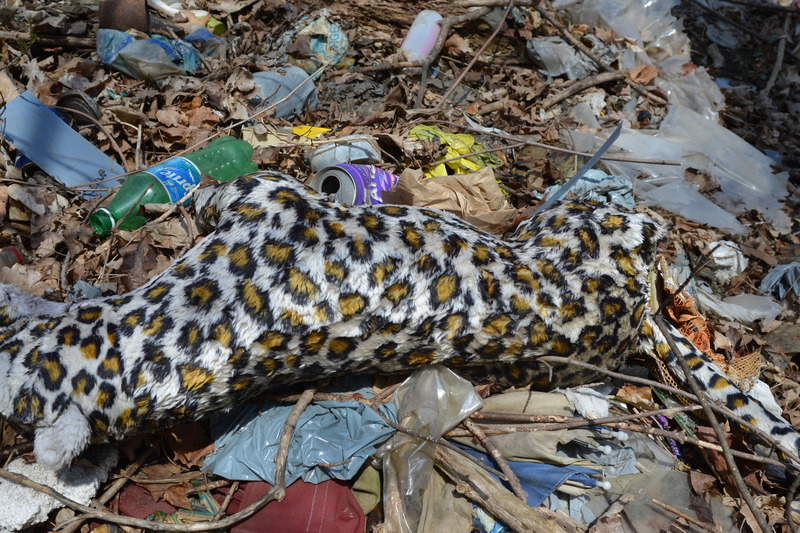 A favourite bear or in this case a leopard lost in the woods. One might be surprised to spot such a bunch of spots in an Ontario woodland. My daughter once lost her stuffed animal “Lady”, of and the Tramp fame, on one of our adventures. Good ol dad hunted for the wayward toy for hours to no avail. This poor cat is neither lost nor hunted for. He is a discard, a treasure long forgotten, a friend no more but instead trash. 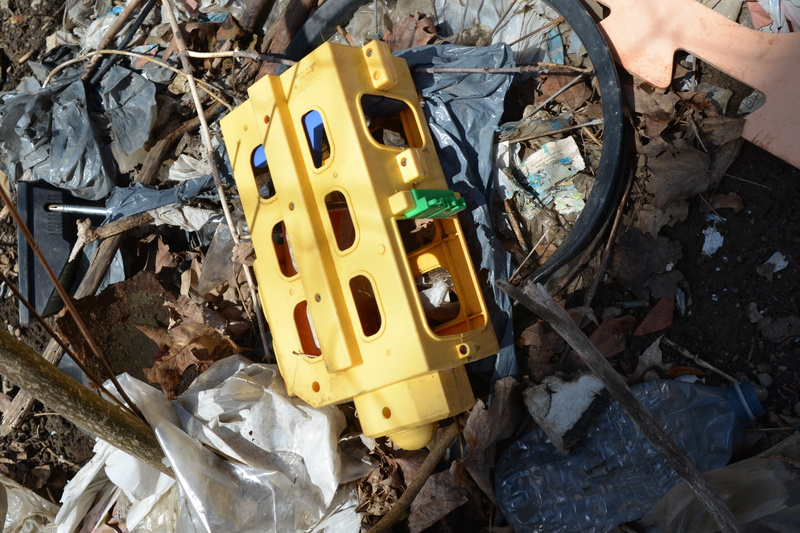 Disposable, yet not disposed of. A is for Apple, perhaps not, more likely for apathy. 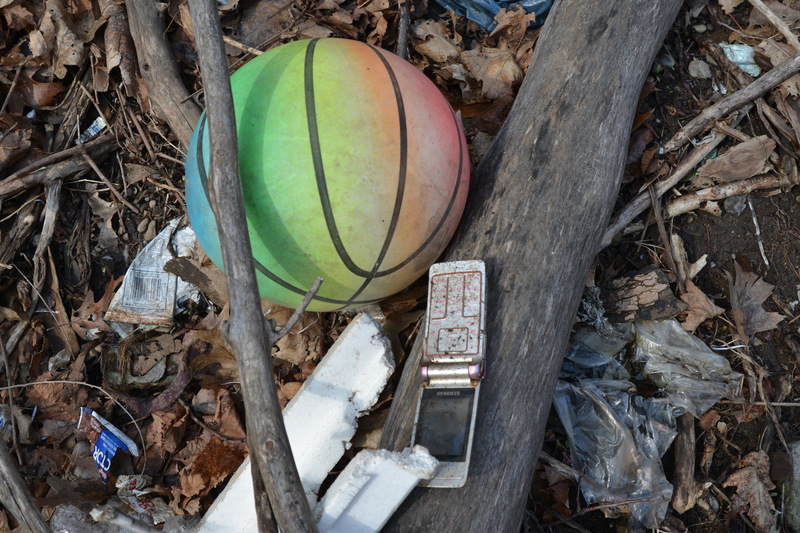 Another discard, maybe someone has finished with learning the alphabet and into the valley it goes. I hope there are not 25 more giant foam letter cut outs like it. Maybe there are more letters of distinction under all this trash. 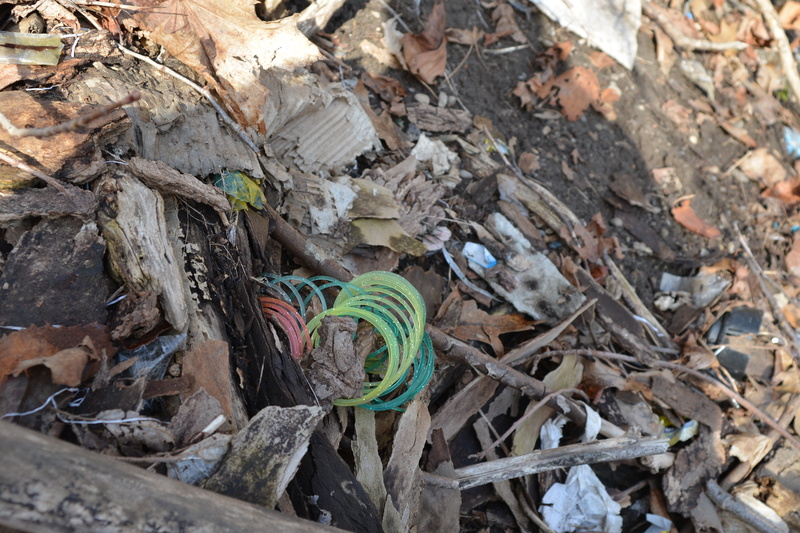 A Slinky hides amongst some more refuse. Slinking no longer from hand to hand or down a set of stairs rather this one slowly makes it way down the side of Crothers Woods to an inevitable final resting place in the wetland hundreds of feet below. Another marvelous toy. It went zip when it moved and pop when it stopped and whir when it stood still. 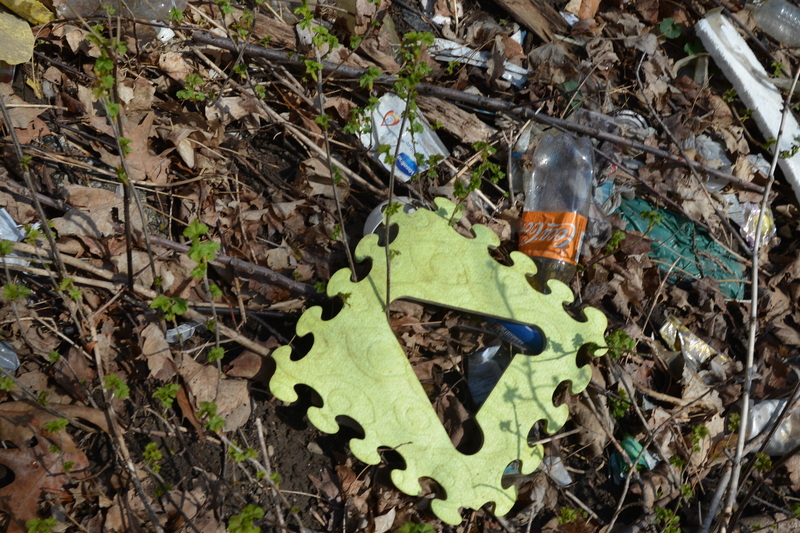 Unfortunately for this one it went smash when it was tossed into the Don Valley as another reminder that we all grow up but we don’t always act like it. Toy after toy, hundreds of them that are no longer fun of any sort. Games long finished and unfortunately now lost. This is us, this is what we believe, our actions are our values. 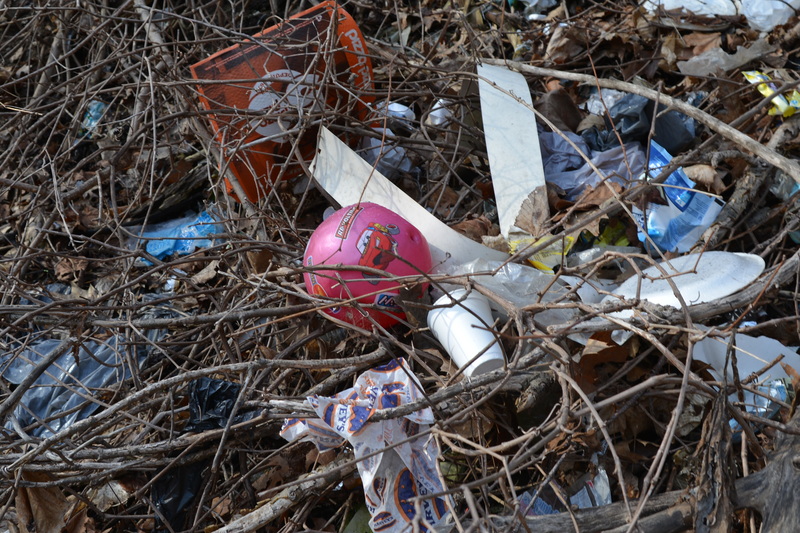 Our valley is not the land of throwaway toys. Favourite toys and treasures used to be passed on from generation to the next. Loved and valued. A continuity from parent to child, reminders of who we are and who we were. The Don Valley is a city treasure to be nurtured and protected and passed from our hands to our children’s and then to their children’s. Each generation a steward of our most important legacies. Please help save the Don and make sure that our generation passes on a healthy and sustainable valley. Please go to our Facebook page and sign the change.org petition.